Wish Jumper Cecily Bailey at Wish Jump 2014. 2011 – The inaugural skydive fundraiser for Make-A-Wish Northeast New York was launched in October and took place at Saratoga Skydiving Adventures. 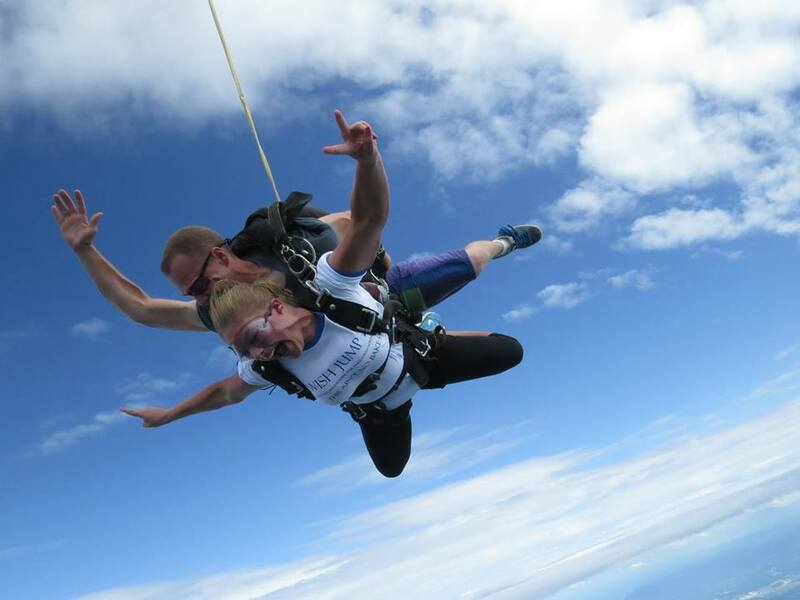 It was called “Lawyers Leap for Wishes.” The plan was to get a bunch of lawyers together to raise money and jump out of an airplane – because who wouldn’t pay to see their lawyer jump out of a plane, right?! Turns out most lawyers don’t want to jump out of a perfectly fine airplane. That year, we had 9 jumpers, including 2 lawyers and Bill Trigg, CEO of Make-A-Wish NENY. $8,000 was raised, money that was used to grant wishes to kids and teens living in the 518 area code with life-threatening medical conditions. 2012 – Forget the lawyers, everybody’s welcome. The fundraiser is re-named “Wish Jump” and 26 Wish Jumpers were recruited, including Bill Trigg, CEO of Make-A-Wish NENY. 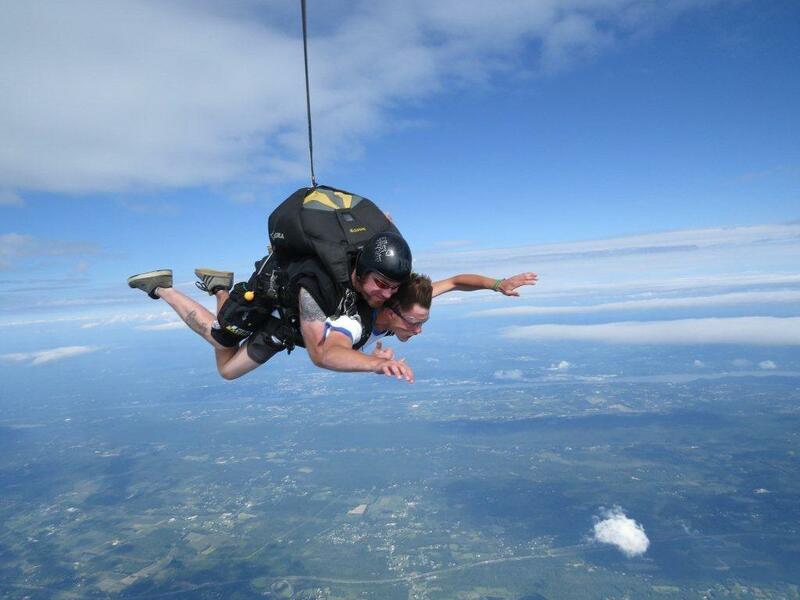 The event took place in August at Saratoga Skydiving Adventures, and was warmer and sunnier than the year before. $26,000 was raised, money that is used to grant wishes to kids and teens living in the 518 area code with life-threatening medical conditions. 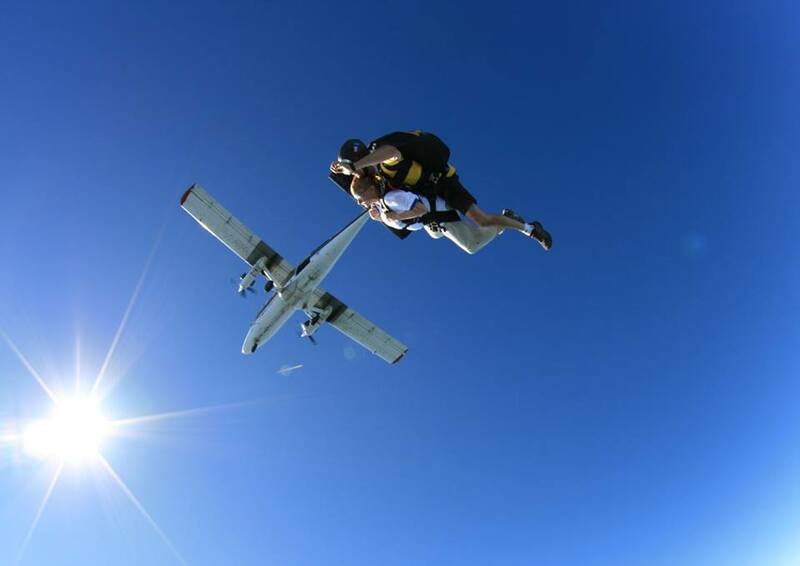 2013 – The third annual Wish Jump takes place at Saratoga Skydiving Adventures. This year the event took place on the last Saturday in July, and it turns out the third time really is a charm. That year the decision was made to hold the event each year on the last Saturday of July. We had 24 Wish Jumpers including Bill Trigg, CEO of Make-A-Wish NENY. $32,000 was raised, money that is used to grant wishes to kids and teens living in the 518 area code with life-threatening medical conditions. Wish Jumper and former Wish Teen, Rachael Murray. Falling from 13,500 feet at Wish Jump 2014. Wish Jumper and former wish child Matt Dydych at Wish Jump 2014. 13,500 feet. 2015 – The fifth annual Wish Jump is underway. The event is scheduled for July 25, 2015. Currently we have 26 Wish Jumpers, and $26,000 has been raised so far. Our goal is $50,000. If you would like to help us reach this goal, please check out our donation page. If your company would like to be a sponsor of this unique event, that is the only skydiving fundraiser for Make-A-Wish in the country, please contact Mary at wishjump@gmail.com.